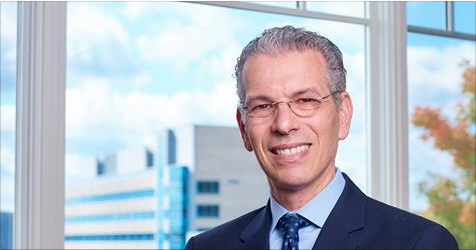 DANVILLE, Pa. – David T. Feinberg, M.D., MBA, president and CEO of Geisinger Health System, will reveal a new community initiative, Springboard Health, at this year’s StartUp Health Festival in San Francisco. Dr. Feinberg will participate on one of the Festival’s exclusive fireside chats, Rise of Healthcare’s Emerging Innovation Hubs, on Jan. 10 at the StartUp Health Café, 180 Montgomery Street. He will be joining Richard Zane, M.D., Chief Innovation Officer at UCHealth, and Esther Dyson, philanthropist, angel investor and executive founder of Way to Wellville, who also serves on the advisory council of Springboard Health. In introducing Springboard Health, Dr. Feinberg will share the concept, components and planned execution of Geisinger’s newest population health initiative which intends to take a radical approach in transforming the health of an entire community. The program, kicking off in Scranton, Pa., will launch with Springboard Health and will focus on coordinating and collaborating with local stakeholders on critical projects such as managing and alleviating chronic medical conditions and eliminating preventable cancers, and addressing the socioeconomic health of the community. Scranton, like so many post-industrial American communities, has a population that struggles with diabetes, obesity and behavioral health issues. Economic obstacles include lack of industry and sustainable living wages compounded by food insecurity issues, especially in those neighborhoods lacking the availability of fresh, non-processed foods. Unhealthy behaviors cited in the community include higher-than-average rates of smoking, drinking and drug addiction. Once developed, tested and implemented, Springboard Health projects will be optimized to create cost-effective, sustainable solutions and once proven, these data-driven programs will be replicated nationally and globally. In addition to Esther Dyson, active Springboard advisory council members include John Sculley, former CEO at Apple and current chairman and chief marketing officer at RxAdvance, Bob Beitcher, president and CEO of the Motion Picture and Television Fund, and a strategic, formidable assemblage of visionary entrepreneurs and executives from the worlds of healthcare, academia, wellness, technology and human rights organizations. The annual StartUp Health Festival is the perfect audience to introduce Geisinger’s trailblazing new program, attracting more than 2,000 of the world’s most inspiring entrepreneurs, healthcare leaders, scientists, investors and Health Transformers for a two-day event. StartUp Health is organizing and supporting a global army of Health Transformers to achieve 10 Health Moonshots with the long-term goal of improving the health and wellbeing of everyone in the world. StartUp Health’s has built the world’s largest digital health portfolio with more than 180 companies spanning five continents, 17 countries and 60+ cities and built a worldwide network of over 30,000 innovators, industry leaders and investors committed to supporting the entrepreneurs reimagining health and wellness. The invite-only Festival unites these individuals to share ideas and work towards reinventing the future of health on a large-scale. Geisinger Health System is an integrated health services organization widely recognized for its innovative use of the electronic health record and the development of innovative care delivery models such as ProvenHealth Navigator® and ProvenCare®. As one of the nation’s largest health service organizations, Geisinger serves more than 3 million residents throughout 45 counties in central, south-central and northeast Pennsylvania, and also in southern New Jersey with the addition of AtlantiCare, a National Malcolm Baldrige Award recipient. The physician-led system is comprised of approximately 30,000 employees, including nearly 1,600 employed physicians, 12 hospital campuses, two research centers, the Geisinger Commonwealth School of Medicine and a 551,000-member health plan, all of which leverage an estimated $8.9 billion positive impact on the Pennsylvania economy. Geisinger has repeatedly garnered national accolades for integration, quality and service. In addition to fulfilling its patient care mission, Geisinger has a long-standing commitment to medical education, research and community service. For more information, visit www.geisinger.org or follow the latest Geisinger news and more on Twitter and Facebook.